Burnsville Family Dental was founded in 1994, by Dr. Ignatius Lee, with a vision of a practice that provides each and every patient with dignity and first-rate dental care. Our dental treatment philosophy is based on the American Dental Association (ADA) endorsed concept of evidence-based dentistry, the utilization of the most up-to-date scientific evidence to guide our decision-making process. Our office and staff create the warm and welcoming atmosphere that we hope ensures our patients the most comfortable and positive of experiences. We are a family-oriented practice, catering to and welcoming patients of all ages. We believe in open communication and collaboration while developing and carrying out treatment plans, so patients are well-informed and at ease when obtaining dental services. Making sure that patients' questions are answered and that their fears are relieved, is a principal aspect of our dental care practitioner-patient relationship philosophy. Please contact us at (952) 736-1080 if you have any questions or would like to schedule an appointment. We look forward to hearing from you. Thank you for your interest in Burnsville Family Dental! 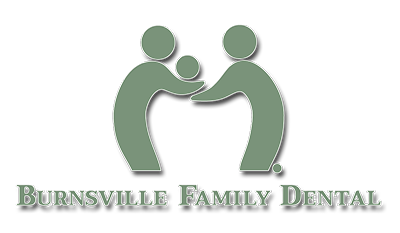 Contact Burnsville Family Dental to schedule an appointment or to request additional information about our services. We look forward to hearing from you.